Pakistan’s parliament passes law that punishes sectarianism, lynching and false accusations that lead to wrongful convictions. Now the bill awaits the president’s approval. Christian activist praises the effort to curb terrorism. Leader of an Islamist group defends the blasphemy law. Lahore (AsiaNews) – The Pakistani National Assembly passed a law amending some criminal laws. For the first time, sectarianism, mass lynching and forced conversions will be punished. The explicit aim of the legislation is to improve the conditions of the country’s religious minorities. Speaking to AsiaNews, some activists expressed their satisfaction with the initiative, which, however, needs the final signature of the president. Parliament yesterday passed the Criminal Laws (Amendment) Act 2016 to amend some existing laws, including the Pakistan Penal Code (PPC) of 1860, the Police Act 1861, the Criminal Procedure Code of 1898, and the Anti-Terrorism Act of 1997. With respect to the persecution of religious minorities, inciting sectarian violence and ethnic hatred and "deliberately using words to hurt the religious feelings of any person”, punishment “has been enhanced from a year-long imprisonment and unspecified fine to imprisonment extendable to three years and not less than one year, and/or fine of Rs500,000” (US$ 4,770). The new law also imposes a sentence of up to 10 years and no less than five years and a fine of up to Rs1 million in the case of an underage girl as defined in the Child Marriage Restraint Act, 1992, or a non-Muslim woman. For the first time, lynching by " organised group or a mob by taking the law in own hands" is also illegal. Punishment against anyone giving false information to a government official that causes him to use his lawful powers to injury has been increased from a maximum of six months to up to seven years in case the offence about which information has been given is punishable with death and five years in case it is punishable with life imprisonment. In recent years, Pakistan has seen several incidents of mob violence. Christian leaders have repeatedly complained that most remain unpunished. 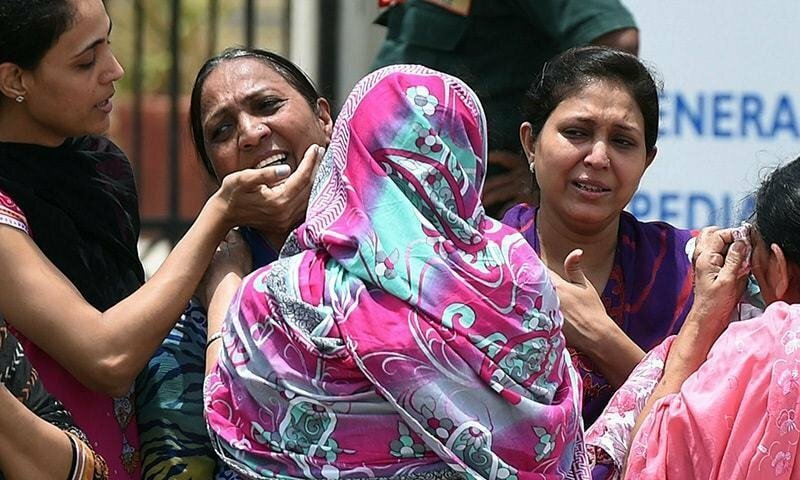 The latest involves the acquittal of 115 people accused in connection with a fire that swept through an entire Christian neighbourhood in Lahore late last month. Pyara Samuel, who filed an appeal to the High Court in Lahore against the Joseph Colony verdict, believes that the new legislation could be a valuable tool for Christians. Sohail ahmad Raza, director of the Interfaith Relations Minhaj ul Quran international, spoke about the abduction of Christian and Hindu women to force them to marry their kidnappers. “It is wrong morally, legally, socially as well as at a human level. Forced marriage is not allowed in Sharia (Islamic law) and results from illiteracy,” he said, adding that “Those who use mosque loudspeakers to incite hate and violence are simply insane and disturbed people". Alongside support, the new law also has its critics. Hafiz Ghulam Abbas is one of them. "It pains rulers when ulemas speak of righteousness and truth from mosque minarets,” said the head of the Tehreek Labaik Ya Rasool Allah in Lahore, a group in favour of the blasphemy law. “Why stop adaan (call for prayer) when a simple street hawker can use a sound amplifier. We reject this amendment and will make sacrifices" against it.